All of us known that tomatoes are very beneficial to our health and delicious, but they also has many benefits about skin care. Rich in vitamin and antioxidants, tomatoes are perfect to shrink the pores, prevent acnes and reduce rashes. This moisture-rich fruit can also ease the disordered skin, and the astringents help to remove the excessive dirt and oil. If you have plenty of tomatoes, you have all you need to make a completely natural face mask. It’s gentle enough for daily use and effective enough to prevent acnes, blackheads and other blemishes. If you have plenty of tomatoes, you have all you need to make a completely natural face mask. 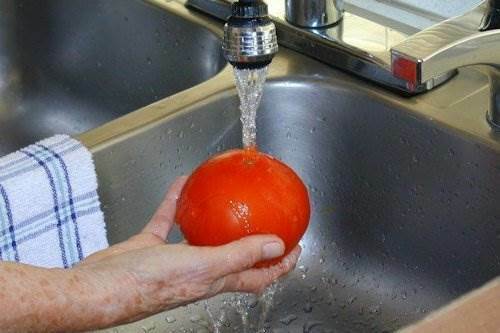 · Wash the tomatoes thoroughly with cold water. Wash the tomatoes thoroughly with cold water. · Put tomatoes in a bowl and mash it with a tomato strainer or a fork. · Apply the mixture on your face and neck, and pay special attention to the areas with blackheads or clogged pores. 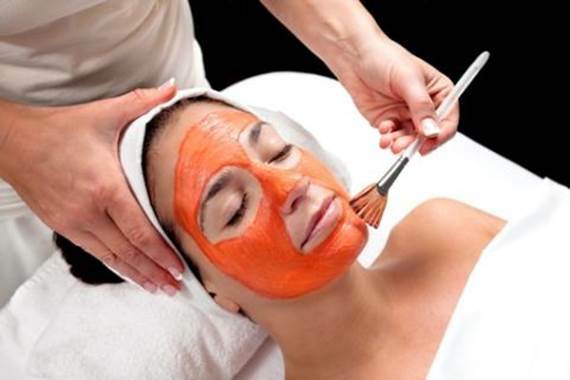 · Leave the face mask there for about 20 to 60 minutes. · Wash your face with warm water. If you have dry skin, moisturize your face with a mild, oil-free moisturizer. If you have dry skin, moisturize your face with a mild, oil-free moisturizer.